Members of the Forests and Forest Products Society recently held their 4th Biennial Conference at the Federal University of Agriculture, Abeokuta (FUNAAB), with the theme, Forests and Forest Products: Key to Sustainable Livelihood. 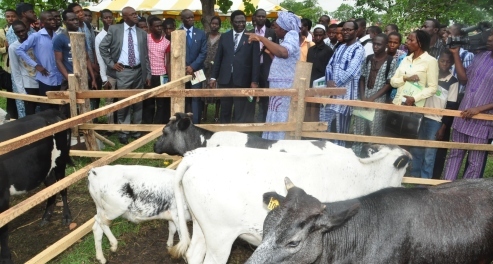 Delivering the keynote address at the occasion, a Don in Forestry and Wildlife Management, Professor Bunyamin Ola-Adams, decried the rate of shrinking forest estates in the country, which he blamed on unsustainable wood extraction for timber; fuel wood and charcoal; agricultural expansion; infrastructural development including construction of roads, dams, pipe lines and forest fires through bush burning. Professor Ola-Adams, who is also the Chairman, United Nations Educational, Scientific and Cultural Organisation (UNESCO) Committee on Nigerian National Man and the Biosphere (MaB), stated that the country should aim at achieving a sustainable livelihood or a ‘green economy’ by securing better health care, education, and job creation, increasing social equity by ending perpetual poverty, ensuring social equity, reducing environmental risk and addressing climate change. Making case for the green economy, he added that this could be achieved through reducing ecological scarcities, securing access to fresh water, natural resources and improving soil fertility; close monitoring and enforcement of forest laws and regulations to ensure sustainable use of forest resources to meet domestic demands; launching of extensive reforestation and aforestation programmes, including community tree planting programmes; encourage and promote development of alternative sources of energy other than wood and development of cottage industries based on the resources available within forest reserve that would increase income level within the community and, therefore, improve their living standards. Welcoming participants to the programme, the Vice-Chancellor, Professor Olusola Oyewole, represented by the Deputy Vice-Chancellor, Development, Professor Felix Salako, stated that the importance of forest to man had gone beyond agricultural value alone, as he lauded the keynote speaker, Professor Ola-Adams for gracing the occasion. The Commissioner for Forestry in Ogun State, Mr. Adebayo Faari commended the organisers of the conference, as he described forests and forest products as indispensible to human existence. He noted that forests and forest products contributed greatly to the economy through the products associated with it such as sawn wood, panels, paper and non-timber forest products. 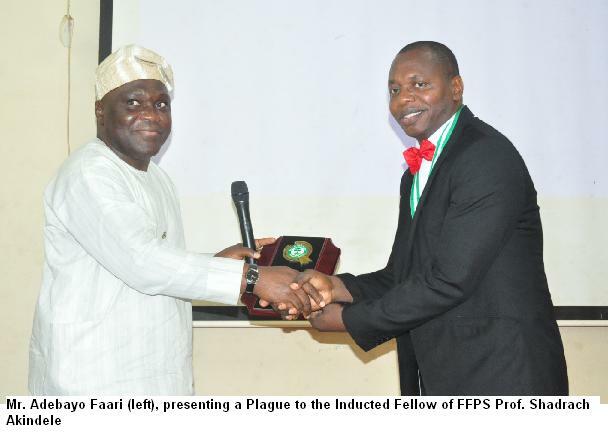 During the conference, there was the conferment of the Society’s Fellowhip Award on Professor Shadrach Akindele, a Professor of Forest Biometrics at the Federal University of Technology, Akure. Meanwhile, the Chairman, Local Organizing Committee of the conference, Professor Moses Adedire, the immediate past Dean, University’s College of Environmental Resources Management (COLERM), said it was a follow-up to the 3rd Biennial Conference of the Society, held in 2012 and was a research-oriented conference that brought together scientists, students, graduates, development experts and policy makers from higher institutions, research institutes, governmental and non-governmental organisations, to deliberate on issues of common interest to the research and development of the Forestry profession.